Before we can answer that question, firstly, let’s find out what one is and what it can do. A Pressure washer is a powerful tool that creates high-pressure water in order to CLEAN and REMOVE dirt, dust, mud, mold, soot, and stains on hard surfaces. You can use these machines on concrete, tiled walls, floors, and even your vehicles. 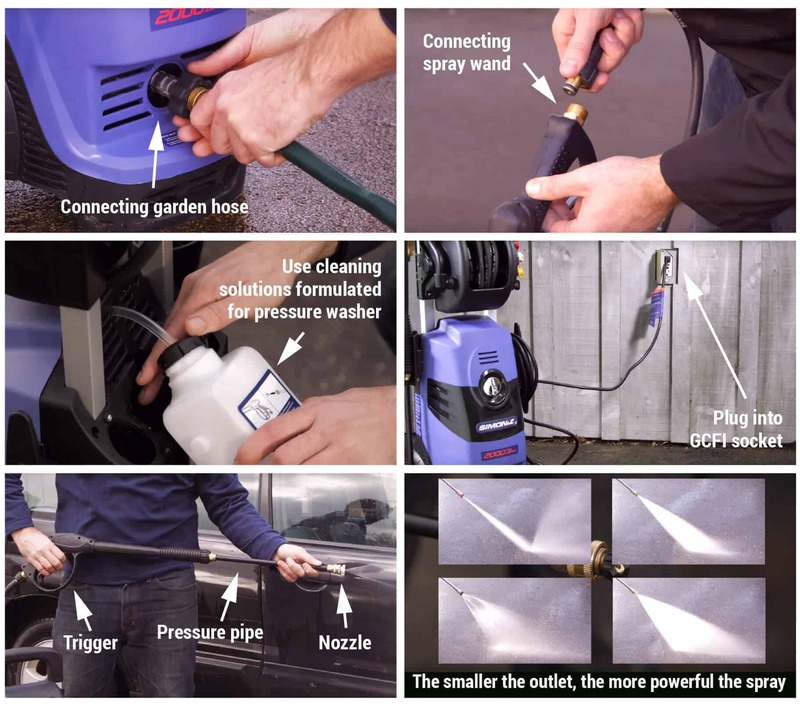 Whether you use an electric or gas powered pressure washer, this tool will cut your cleaning time in half or even more. 1 Why Use An Electric Pressure Washer? 2.0.1 What Are The Best Pressure Washers? 2.0.2 What PSI Do You Need To Pressure Wash a Driveway? 2.0.3 What PSI To Wash a Car? 2.0.4 What PSI Pressure Washer To Clean Concrete? 5 Which Electric Pressure Washer Is The Best? Why Use An Electric Pressure Washer? 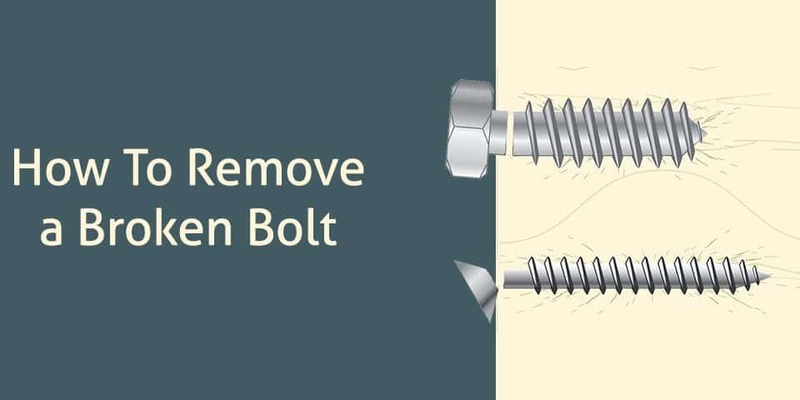 Many people want to reduce their carbon footprint in this world and you can do this by using battery powered or electric tools which helps remove carbon emissions in their environment. We change our lives around from the norm (fossil fuels) and look for ways to use a cleaner energy that is much safer for all, big or small. Pounds per square inch: A pressure washer, by its nature, is a pump. You pump water into it with a garden hose, the machine reduces the amount of water through the pressure hose and tips while under extreme pressure. The smaller the outlet, the more powerful the spray. Pressure Washer GPM: Gallons per minute tells you how many gallons per one minute the machine will produce pressurized water and it is a standard to look at when choosing a pressure washer. The more GPM combined with PSI the more cleaning power you will have. An electric pressure washer has a motor that is powered by electricity which leads directly to a pump. It has a high-pressure pipe and is usually equipped with a high-pressure hose with a trigger and nozzle. The electric cord must have a GCFI switch for safety reasons installed where you plug into your homes electrical outlet. You use a pressure washer much like you would a garden hose when cleaning hard surfaces outside your homes such as your sidewalks, patios, siding, and garage floors. There are so many electric pressure washers on the market that it could take months to research. They differ in their features and sizes. The best pressure washer is the one that fits your lifestyle and budget. What PSI Do You Need To Pressure Wash a Driveway? We went over PSI and GPM earlier and how the pump pressurizes water through it. When cleaning a driveway, the more PSI your machine produces the better. With electric pressure washers, you will want at least 2000PSI with a minimum GPM of 1.76. Really, the psi will depend on what you are cleaning in the driveway. Of course, knowing how to use your nozzle tips are a big part of the equation. What PSI To Wash a Car? Electric pressure washers are a perfect choice for to wash your car. You can use these machines inside your garage safely. You can use a smaller washer with a psi rating of 1600, all the way up to 2000psi. If you are getting the machine just to wash your vehicles then you want to one that its attachments are industry standard sizes such as M22 or 15mm. What PSI Pressure Washer To Clean Concrete? More than likely is a concrete surface you want the highest PSI and GPM possible. Knowing how to use your nozzle tips will go a long way when cleaning concrete. You also need to know what type of cleaning solution to use and any pre-treatment for grease or oil stains, bird droppings, etc. The electric pressure washer has both their pros and cons. In order to know are electric power washers any good? You need to know what the good and the bad are. They are lightweight enough for most people even the elderly to handle with ease. Electric motors are lightweight because they are a lot smaller with less heavy parts and windings than a gas engine. Another thing that makes them light is the plastic body and wheels. 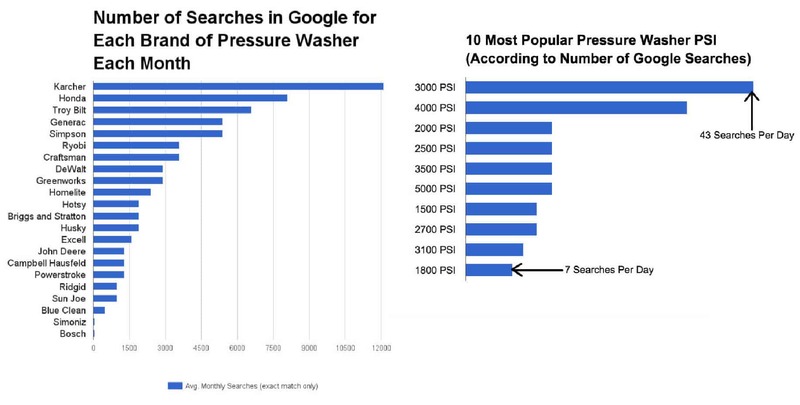 For residential use, they are just as powerful (See PSI and GPM above,) as a gas pressure washer. Many manufacture them as high 2030PSI such as the Sun Joe SPX3001. They also use attachments that can make them even more powerful like this surface cleaner for driveways and patios. Many homeowners prefer electric units over their gas-powered cousins because of they are low maintenance and lightweight machines. You don’t have to worry if you have gas on hand or having to pull start a motor. YOU CAN’T use a gas powered washer inside your home, like an unfinished basement or a smoke damages kitchen. You will have to leave the unit outside and then you are limited by the length of your pressure hose. With an electrical unit, you can bring it inside to clean the floors without being choked out by gas fumes. These machines are low cost and have a lot of plastic parts that screams cheap! Or poor quality. Replacing your electric machine every 3 to 5 years. You will be limited by your power cord. This is true but most power cords are 25 to 30 feet long, then you add another 25 to 30 feet of pressure hose and you have enough reached to wash the front of mostly modest homes without moving the unit. An electric pressure washer is ideal for most cleaning jobs a homeowner can find. They have the power to clean just as well as any gas units. If you want a pressure washer that gets the job done fast, that’s lightweight and can be used inside or out, then an electrical pressure washer is for you. As a water and fire damage restorer, we have used electric power washers inside of homes to clean appliances, basements, ground in dirt/soot from tiled floors, and believe it or not hard surface countertops. Ryobi pressure washer 1700 – Sun Joe spx3000 – Generac- Karcher- Simpson etc. Most of these models can be purchased online through Amazon. The best pressure washer is the one that will work all around your home inside and outside. This way you don’t have to have two of them. 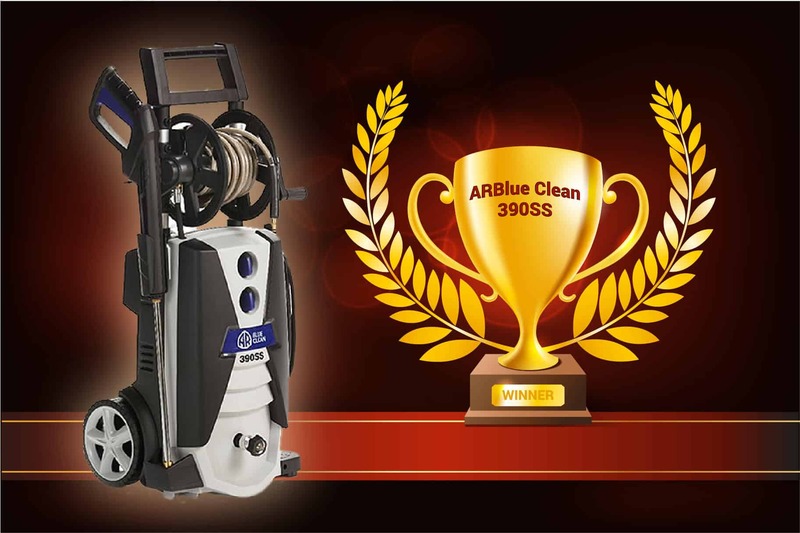 The best one that I have found for most of our purposes is the ARBlue Clean 390SS. Now you know the facts about whether or not our electric pressure washers any good.